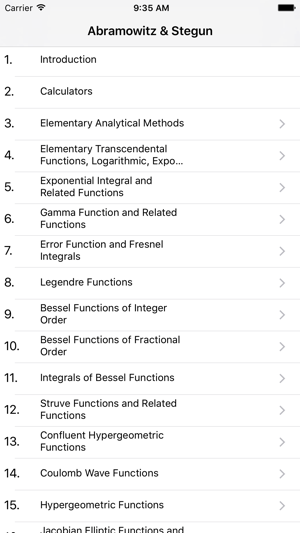 The classic "Handbook of Mathematical Functions" edited by Milton Abramowitz and Irene Stegun is now on IOS. 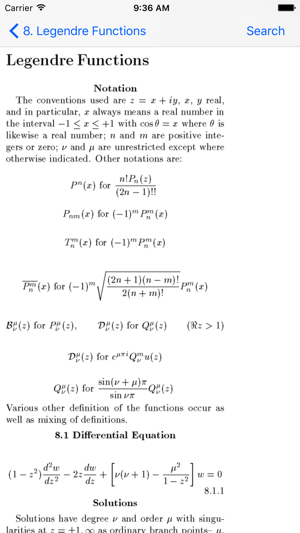 This edition of the Handbook contains more than 4000 equations and 170 graphs/illustrations. Interactive calculators have replaced bulky tables. The Handbook contains a huge amount of information for students, scientists and engineers who need quick access to a wide variety of mathematical formulas. Buy it once, use it forever. 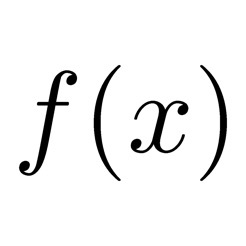 Subjects include common transcendental functions and formulas, orthogonal polynomials, integrals, series, coefficients, sums, transforms, recurrences and relations. The entire text is searchable. Updated support for iOS 10 devices. An incredibly useful resource. All of Abramowitz & Stegun, nicely indexed, at your fingertips. And now iOS 11-compatible. Best $5 I have spent on the App Store. Despite this app being a great resource of information, it lacks a good UI. The biggest problem is that the table of contents cannot be hidden or slid over to prevent it from blocking the page content which forces the user to slide the page back and forth to read. In the landscape mode, the ToC bar seems to be OK; but should still be hidden. Information is dense so, I cannot imagine trying to use the app on an iPhone without going bonkers trying to read it. The ToC issue would be exceedingly annoying. Good info despite the execution of the app design. This app has a huge amount of information in it, without any fluff. It has multilevel menus which makes it easy to navigate and find things quickly, such as formulas, graphs, and calculators... it's all here and very convienient. No buying (or renting) bits and pieces with in-app purchases, either. All in all, it is a really great and useful app!